Newburn smokeless fuel is a high quality, low priced smokeless fuel. This fuel briquette is suitable for open and closed appliances. Newburn is a fully authorised smokeless fuel that is suitable to burn in smoke control areas. This is a high performing fuel briquette that burns at hot temperatures, has a low ash and sulphur content. Newburn is ideal for both open and closed appliances. 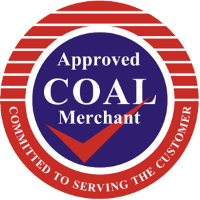 This coal is made from a blend of the best quality cokes and anthracite. It is a fully authorised smokeless fuel and HETAS approved. The shape of Newburn coal encourages an easy light, good airflow and strong heat output.